Raised in Jersey City, New Jersey by musically-inclined middle-class Jewish parents, Herman learned to play piano at an early age, and the three frequently attended Broadway musicals. His father, Harry, was a gym teacher and in the summer worked in the Catskill Mountains hotels. His mother, Ruth, also worked in the hotels as a singer, pianist, and children's teacher, and eventually became an English teacher. After marrying, they lived in Jersey City and continued to work in the summers in various camps until they became head counselors and finally ran Stissing Lake Camp in the small town of Pine Plains, New York, in the Taconic Mountains. Herman spent all of his summers there, from age 6 to 23. It was at camp that he first became involved in theatrical productions, as director of Oklahoma!, Finian's Rainbow and A Tree Grows in Brooklyn. Herman graduated from Jersey City's Henry Snyder High School. At age 17, Herman was introduced to Frank Loesser who, after hearing material he had written, urged him to continue composing. He left the Parsons School of Design to attend the University of Miami, which has one of the nation's most avant garde theater departments. While an undergraduate student at the University of Miami Herman produced, wrote and directed a college musical called Sketchbook. It was scheduled to run for three performances, but the show created an instant patron demand and ran for an additional 17 performances. He was also a member of the Zeta Beta Tau Fraternity. After graduation from the University of Miami, Herman moved to New York City, where he produced the Off-Broadway revue I Feel Wonderful, which was made up of material he had written at the University. It opened at the Theatre de Lys in Greenwich Village on October 18, 1954, and ran for 48 performances. It was his only show his mother was able to see; shortly after it opened, she died of cancer at the age of forty-four, and Herman spent the next year in deep mourning. In 1957, Herman approached the owner of a West Fourth Street jazz club called the Showplace and asked to put on a revue. As well as supplying the music, Herman wrote the book and directed the one-hour revue, called Nightcap. He asked his friend, Phyllis Newman, to do movement and dance and it featured Charles Nelson Reilly (who later co-starred in Hello, Dolly!). The show opened in May 1958 and ran for two years. Herman next collected enough original material to put together an off-Broadway revue called Parade in 1960. Herman directed with choreography by Richard Tone. The cast included Charles Nelson Reilly and Dody Goodman. It first opened at the Showplace and, expanded, moved to the Players Theatre in January 1960. In 1960, Herman made his Broadway debut with the revue From A to Z, which featured contributions from newcomers Woody Allen and Fred Ebb as well. That same year producer Gerard Oestreicher approached him after seeing a performance of "Parade", and asked if he would be interested in composing the score for a show about the founding of the state of Israel. The result was his first full-fledged Broadway musical, Milk and Honey in 1961. The show, about American tourists in Israel, starred Robert Weede, Mimi Benzell and Molly Picon. It received respectable reviews and ran for 543 performances. Herman met playwright Tad Mosel in 1960 and they collaborated on an Off-Broadway musical adaptation of Mosel's 1953 television play, Madame Aphrodite. The musical of the same name, which starred Nancy Andrews in the title role, opened at the Orpheum Theatre in December 1961 but closed after 13 performances. A cast album was recorded, but the show has never been performed since. The failure of the musical hurt Herman, who felt that the direction and casting had not worked, but described his decision to make it as a "very brave thing for me to do...It was a dark piece, something more suited to early Sondheim than me". In 1964, producer David Merrick united Herman with musical actress Carol Channing and librettist Michael Stewart for a project that was to become one of his more successful, Hello, Dolly!. The original production ran for 2,844 performances, the longest running musical for its time, and was later revived three times. Although facing stiff competition from Funny Girl, Hello, Dolly! swept the Tony Awards that season, winning 10, a record that remained unbroken for 37 years, until The Producers won 12 Tonys in 2001. In 1966, Herman's next musical was the hit Mame starring Angela Lansbury, which introduced a string of Herman standards, most notably the ballad "If He Walked Into My Life", the holiday favorite "We Need a Little Christmas", and the title tune. Although not commercial successes, Dear World (1969) starring Angela Lansbury, Mack & Mabel (1974) starring Robert Preston and Bernadette Peters, and The Grand Tour (1979) starring Joel Grey are noted for their interesting concepts and their melodic, memorable scores. Herman considers Mack & Mabel, also written in collaboration with Michael Stewart, his personal favorite score with later composition La Cage aux Folles in a close second. Both Dear World and Mack & Mabel have developed a cult following among Broadway aficionados. In 1983, Herman had his third hit with La Cage aux Folles starring George Hearn and Gene Barry, which broke box-office records at the Palace Theatre and earned Herman yet another Tony Award for Best Musical. From its score came the gay anthem "I Am What I Am" and the sing-a-long "The Best of Times." La Cage aux Folles won the Tony Award for Best Musical (1983), is the only musical to win the Tony Award for Best Revival of a Musical twice (2005 and 2010), and therefore is the only show to win a Best Musical award for every staged Broadway production. A review, Jerry's Girls, "a pastiche" of his work, featured Dorothy Loudon, Leslie Uggams and Chita Rivera and ran on Broadway from December 1985 to April 1986. Many of Herman's show tunes have become pop standards. His most famous composition, "Hello, Dolly! ", is one of the most popular tunes to have originated in a Broadway musical, and was a #1 hit in the United States for Louis Armstrong, knocking The Beatles from #1 in 1964 after a 14-week run at the top ("I Want to Hold Your Hand", "She Loves You", and "Can't Buy Me Love."). A French recording by Petula Clark  charted in the Top Ten in both Canada and France. "If He Walked into My Life" from Mame was recorded by Eydie Gormé, winning her a Grammy Award for Best Vocal Performance, Female in 1967. "I Am What I Am" from La Cage aux Folles was recorded by Gloria Gaynor. Other well known Herman showtunes include "Shalom" from Milk and Honey; "Before the Parade Passes By", "Put On Your Sunday Clothes", and "It Only Takes a Moment" from Hello, Dolly! ; "It's Today! ", "Open a New Window", "We Need a Little Christmas," and "Bosom Buddies" from Mame; and "Tap Your Troubles Away", "I Won't Send Roses" and "Time Heals Everything" from Mack & Mabel. Herman was the first (of only two) composers/lyricists to have three musicals run more than 1500 consecutive performances on Broadway (the other being Stephen Schwartz): Hello, Dolly! (2,844), Mame (1,508), and La Cage aux Folles (1,761). He is honored by a star on the Hollywood Walk of Fame, at the 7000 block of Hollywood Boulevard. Other honors include the Jerry Herman Ring Theatre, named after him by the University of Miami. He was inducted into the Songwriters Hall of Fame in 1982. Herman's work has been the subject of two popular musical revues, Jerry's Girls conceived by Larry Alford, and Showtune (2003) conceived by Paul Gilger. 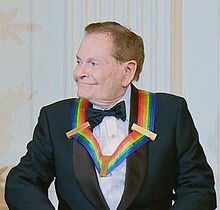 A 90-minute documentary about his life and career, Words and Music by Jerry Herman by filmmaker Amber Edwards, was screened in 2007 and then broadcast on PBS. In the 2008 animated film WALL-E, Herman's music from Hello, Dolly! influences the character WALL-E. In 1989, American-playwright Natalie Gaupp wrote a short play titled "The Jerry Herman Center." The play is a comedy which portrays the lives of several patients in "The Jerry Herman Center for Musical Theatre Addiction." In 2012, Jason Graae and Faith Prince collaborated on The Prince and the Showboy, a show which pays tribute to Herman; Graae worked extensively with Herman and described him as "a survivor of the highest degree [who] lives his life as an eternal optimist." Having a flair for decorating in the 1970s, Herman took a break from composition after the failure of Mack and Mabel. Architectural Digest wrote about the firehouse he renovated. Then he redecorated other houses and sold them. He has decorated at least thirty-eight different residences in his life. Herman reportedly listed his 4,088-square-foot (379.8 m2) West Hollywood condominium apartment for sale early in 2013. Herman was diagnosed HIV-positive in 1985. As noted in the "Words and Music" PBS documentary, "He is one of the fortunate ones who survived to see experimental drug therapies take hold and is still, as one of his lyrics proclaims, 'alive and well and thriving' over quarter of a century later." Herman's memoir, Showtune, was published in 1996. Herman resides in Miami Beach, Florida. ^ a b Zak, Dan (December 2, 2010). "Broadway legend Jerry Herman, no stranger to a full house". Washington Post. Retrieved 2013-12-05. ^ WEINRAUB, BERNARD (July 26, 1998). "Celebrating His Music And Precious Life Itself". New York Times. Theater. Retrieved 2013-12-05. ^ a b Citron, Stephen (2004). Jerry Herman: Poet of the Showtune. New Haven: Yale University Press. pp. 10–14, 23. ISBN 0-300-10082-5. LCCN 2003027632. Retrieved 2013-12-05. ^ Ten-Tronck, Rob. Celebrity Locator 2006-2007. Retrieved 2013-12-05. ^ "History of the Jerry Herman Ring Theatre". University of Miami. Retrieved 2013-12-05. ^ "Herman, Jerry". glbtq.com. Archived from the original on 8 December 2006. Retrieved 6 September 2013. ^ Ewen, David. Popular American Composers from Revolutionary Times to the Present: A Biographical and Critical Guide, Volume 1, p. 51. Accessed June 6, 2012. "Following his graduation from Henry Snyder High School in Jersey City, he enrolled at the Parsons School of Design in New York intending to become an interior decorator." ^ a b Stephen Citron (1 October 2008). Jerry Herman: Poet of the Showtune. Yale University Press. pp. 69–. ISBN 978-0-300-13324-0. ^ "Gloria Gaynor - I Am What I Am (Vinyl) at Discogs". www.discogs.com. Retrieved 2018-06-26. ^ Wong, Curtis M. (21 August 2012). "Faith Prince, Jason Graae Dish On Their 54 Below Cabaret Gig, Broadway And Jerry Herman". Huffington Post. Retrieved 30 September 2016. ^ Jerry Herman (1996). Showtune: A Memoir. Donald I. Fine Books. ISBN 978-1-55611-502-8. ^ "History and Honorary Degree Recipients | Commencement | University of Miami". University of Miami. Retrieved 2013-12-05. Jerry Herman Official Web Site. Jerry Herman - Downstage Center audio interview at American Theatre Wing. People Weekly, April 21, 1986.